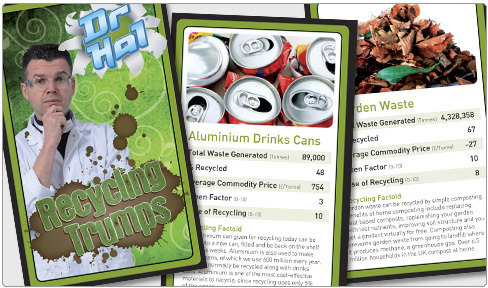 Dr Hal's Recycling Trumps is a trumps-style game with 32 recyclable items as the subject of the game. 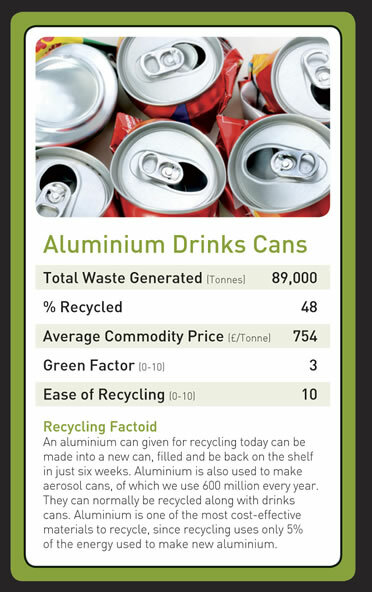 This is an ideal way of getting children to learn about recycling through play, and maps directly onto Key Stage 3 of the National Curriculum. 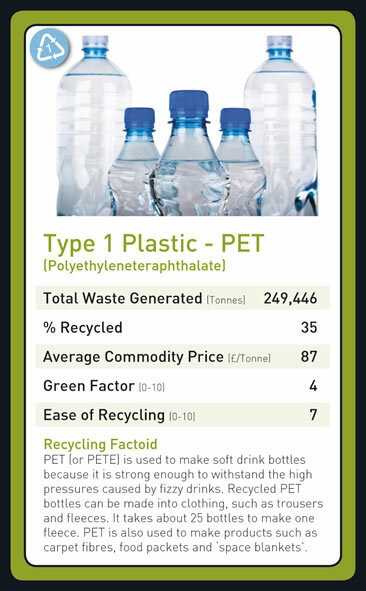 There is a picture of each item and some recycling factoids on the card to engage players curiosity and provide some takeaway learning outcomes. 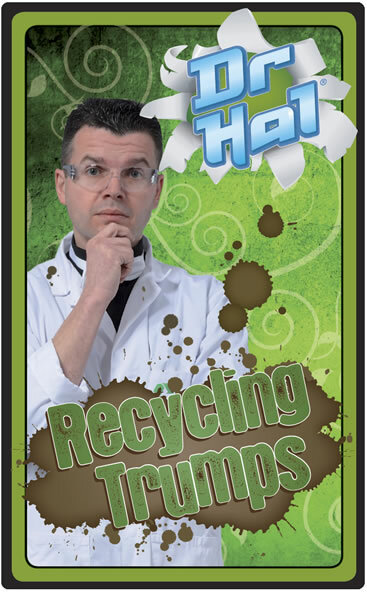 As you might expect Dr Hal’s Recycling Trumps is printed on 100% recycled card and our printer, Richard Edward Ltd is certified by the Forestry Stewardship Council. 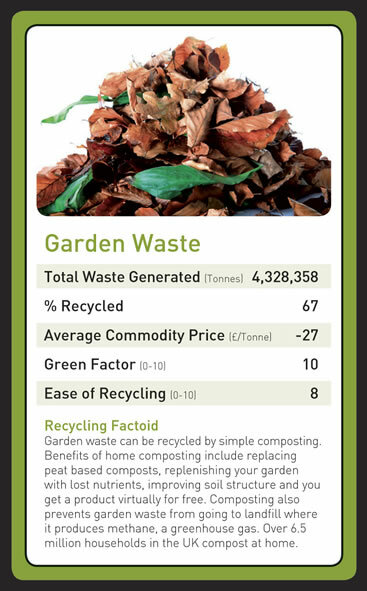 The research for the cards was carried out by Dr Ryan Woodard, Research Fellow in the Waste and Energy Research Group at a leading Uk University so you can be sure of the intellectually credibility of the game. Trump Factors: ‘Green Factor’ is out of 10, and relates to the benefit of diverting that waste material away from landfill. The higher the Green Factor the greater the benefit. ‘Ease of Recycling’ is out of 10, and relates to the recyclability of that waste material due to the availability of appropriate facilities in the UK. ‘Total Waste Generated’ refers to the average annual UK tonnage 2007/2008. ‘Average Commodity Price’ is an average of the 20072008 commodity price.